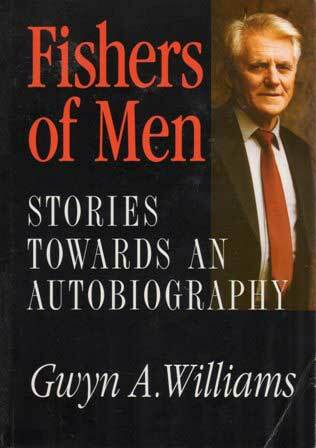 The draft manuscript of Fishers of Men towards an Autobiography was already in the hands of Gomer Press when Professor Gwyn Alf Williams died in November 1995. An accompanying note from the author suggests that he was ‘uneasy and uncertain about this non-history writing’, but the stories themselves proved the diffidence to be mis-placed. There is no doubt that he was a born storyteller, a remembrancer as well as an historian. As Geraint H. Jenkins describes him in a tribute: ‘his ability to tell a story with such verve and self–confidence made him one of the most sought after speakers in Wales’. The collection includes unforgettable moments from Gwyn's Chapel Gang days, a brush with the Urdd movement at Llangrannog (‘Welsh and a Social Disease’), and many of his exploits as a young recruit in the army. It is published in memory of a charismatic man.